Thank you for choosing our luxury day spa in Los Angeles and for giving us the pleasure of serving you with our array of men’s, women’s and couples massage, facials, skin care and spa treatments. Located on Los Feliz Blvd, Atwater just search for massage or facial near me. Our Los Angeles facials offer an elevated experience with remarkable results. Renowned for our hot stone massage, deep tissue massage, sports massage and more. Rid yourself of toxic impurities through a cleansing dtox body wrap. Choose a waxing treatment as an add-on to your facial. Favorite place in Los Angeles to receive massage and facial skin care treatments. I have been a regular customer for the past three or four years, and it remains the most consistent day spa for deep tissue, hot stone and sports massages or facial treatments and extractions. You are invited to experience our award-winning day spa in Los Feliz, Los Angeles best known for its massages and facials. Managed by Austin Adduci. Dtox day spa is dedicated to providing a personal customer service and a memorable spa experience. A locker with a full-length robe and slippers are provided upon entry. Fully stocked showers, full-length towels, a vanity area including a blow dryer, hair brushes, and shower caps, as well as facial products are available for use. To respect your privacy and comfort throughout your treatments, undraping only occurs on the isolated region upon which your provider is working. Enter an environment of Asian minimalism with an Indonesian flare that incorporates elements of water, earth, fire and air. 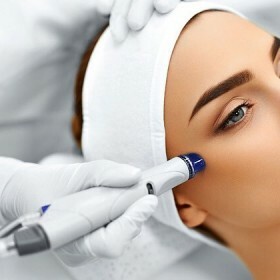 Unique treatments and quality services, with scientifically-proven and advanced ingredients. Subscribe our newsletter for exclusive special offers and promotions! Featured on The Ellen Show, The Voice, KTLA, and The Doctors. Famous for our massage and facials.